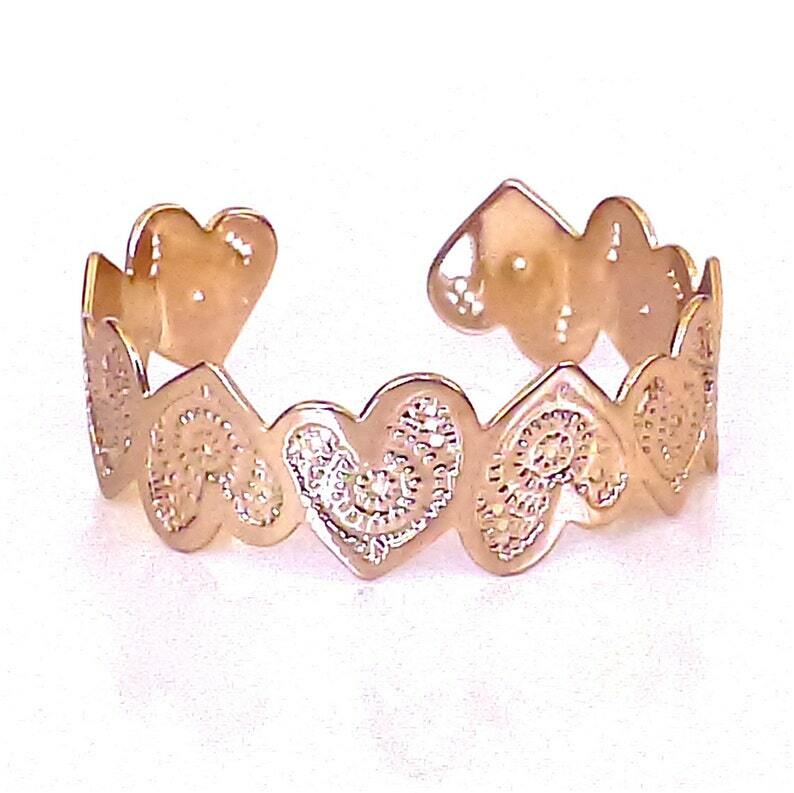 Rose Gold cuff with an intricate heart design, 3/4 inches wide (tall) and 6 inches around, with a 1 inch opening. The cuff has some adjustability and flexibility. Made from Rose Gold plated brass. Thank you for looking at my rose gold cuff! I also make other beautiful jewelry in my shop, and I'd love for you to stop by and check out the rest of the jewelry sometime.